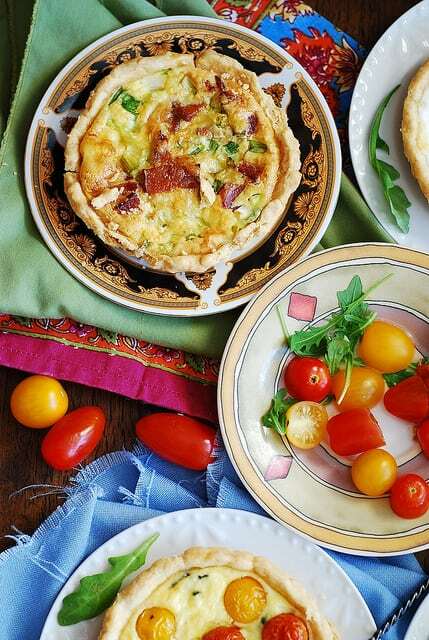 Bacon and Egg Breakfast Quiche Tartlets – each serving of this delicious breakfast quiche is made and served in an individual tartlet (mini tart shell). I love my Williams-Sonoma 6 mini-tartlet pan, and I can’t get enough of it: it’s so convenient to bake individually sized little tarts that look so pretty (both sweet and savory). This tart pan makes 6 mini-tarts, 3 inch diameter each. This is the minimum number of tartlets that I will usually bake at any given time so it works for me. The pan is also non-stick, so there is never a problem with crust sticking. 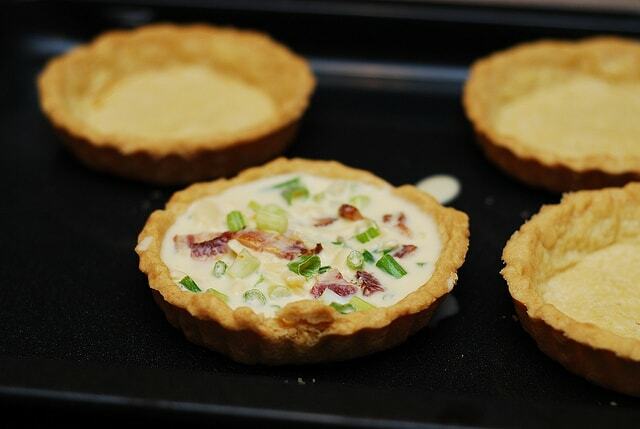 Perfect for making these delicious bacon and eggs breakfast quiche mini tartlets. So, again, I made some breakfast quiche tarts using this pan. With breakfast quiche tarts, there are so many variations, each time there is a new twist or ingredient addition: about a month ago I made breakfast tartlets with spinach, Gouda cheese, and grape tomatoes, and then with breakfast tartlets with bacon and spinach, and now these. Every time, the crust is flaky, crumbly, and this type of breakfast will leave you hunger-free for many-many hours, because you get a lot of things all in one: protein (eggs), vegetables, carbs (crust) – all these combined will keep you full longer. At least, they keep me full longer. 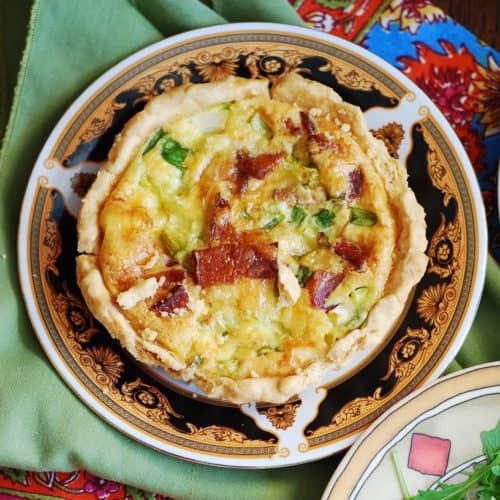 I would never survive on yogurt, pancakes, or cereal for breakfast: I need something more substantial, with protein, such as these Bacon and Egg Breakfast Quiche Tartlets. Everything else plays supporting roles when it comes to breakfast. Below are some step-by-step photos. For complete recipe, scroll down. 1) Prepare savory tart crust using the recipe and the method described in my recipe here. The only thing different here will be the size of tart pan: instead of using one large tart pan, use 6 smaller individual tartlet pans (3 inch diameter each). Bake empty smaller tart shells for about 20 minutes. You don’t need to bake them to brown or golden color, because you will continue baking them once you put the filling in. 2) Preheat oven to 350 F. In a small bowl, whisk together 2 eggs, heavy cream, milk. 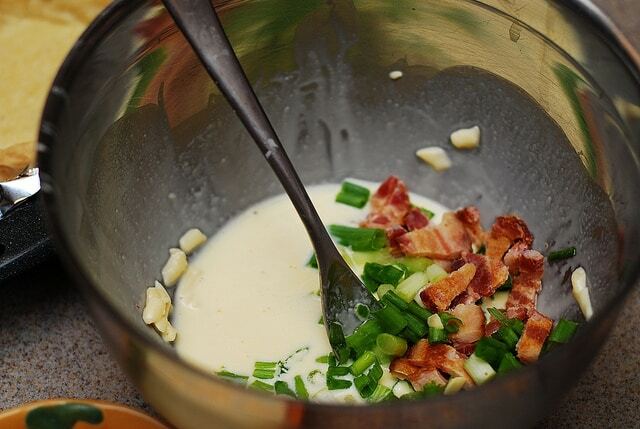 Add shredded cheese, bacon (cooked and chopped finely), green onions (chopped) and mix well. Add salt to taste, if desired. 3) Divide the egg mixture from step 2 into 6 equal parts and pour it into each of 6 tart shells. 4) Bake these egg tartlets for 20-30 minutes, until tart shell is golden brown and eggs are almost set. 5) Remove from oven and let it cool for 10 minutes on wire rack before serving. 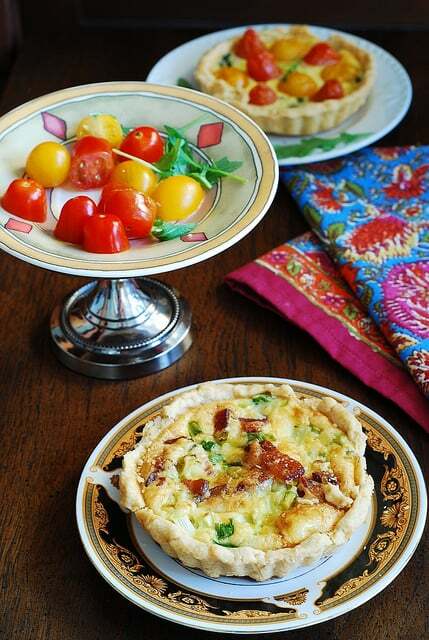 Bacon and Egg Breakfast Quiche Tartlets - each serving of this delicious breakfast quiche is served in an individual tartlet (mini tart shell). Prepare savory tart crust using the recipe and the method described in my recipe here. 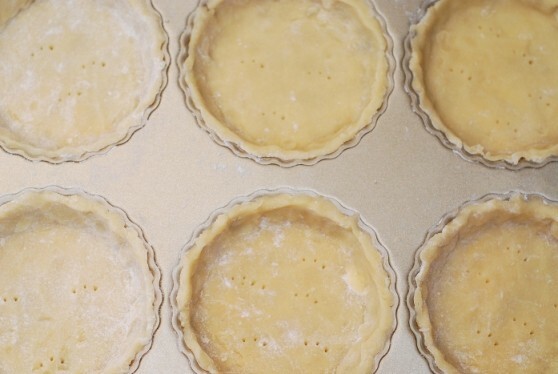 The only thing different here will be the size of tart pan: instead of using one large tart pan, use 6 smaller individual tartlet pans (3 inch diameter each). Bake empty smaller tart shells for about 20 minutes. You don’t need to bake them to brown or golden color, because you will continue baking them once you put the filling in. Preheat oven to 350 F. In a small bowl, whisk together 2 eggs, heavy cream, milk. Add shredded cheese, bacon (cooked and chopped finely), green onions (chopped) and mix well. Add salt to taste, if desired. 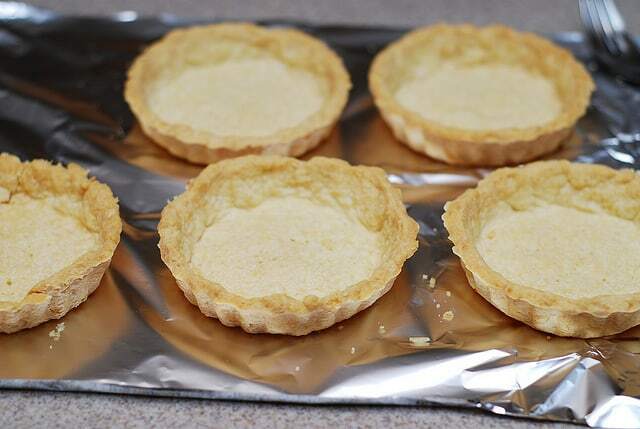 Divide the egg mixture from step 2 into 6 equal parts and pour it into each of 6 tart shells. Bake these egg tartlets for 20-30 minutes, until tart shell is golden brown and eggs are almost set. Remove from oven and let it cool for 10 minutes on wire rack before serving. If I were to add diced bell peppers or onions, should I cook those first before putting into the egg mixture and oven? It depends on how you like your bell peppers and onions. If you like them crunchy, just add them to the egg mixture without cooking. If you like them soft, cook them before adding to the egg mixture. I would just put them uncooked into the egg mixture. Yum! Love this idea! Love the pan too! Must request one for Christmas. 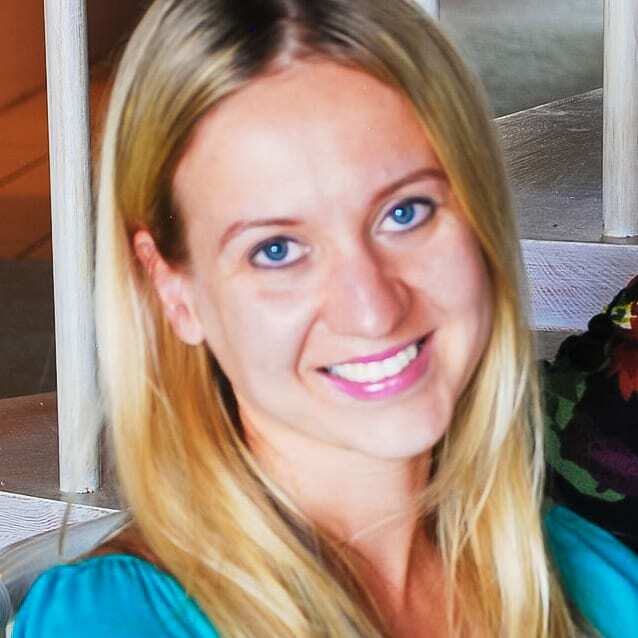 Your pictures are gorgeous as usual! Wow! Those look so good. Williams Sonoma should pay you — now I want their tartlet pan. Those look so yummy!! Definitely bookmarking this recipe for later use! Definitely try it, very easy!